In our modern age, there is literally invisible magic running through almost everything. Electricity can transform our lives, as well as end them. So, it’s pretty important to know what it’s up to. Testing electronics, checking circuits, measuring voltages, and testing batteries are all things we can do ourselves in seconds. 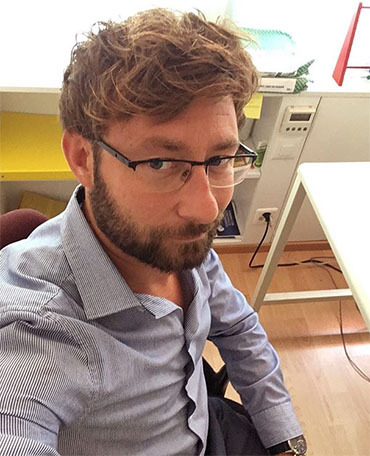 Or maybe you do it for other people as a business? Either way, you need to buy the best multimeter you can. Which doesn’t cost much at all! It’s the sort of thing that everyone should have access to. It will enable you to save your gadgets and protect your family (and yourself) from electrical troubles. 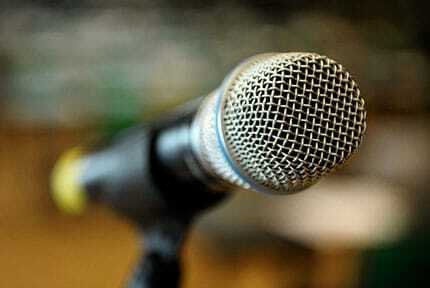 However, buying the best multimeter depends on your need. If it’s for automotive, there are a few things you NEED to know. Same with multimeters for home use. The more you know, the less you’ll spend, and the more you’ll know what you can do with it. Below you can find a list of our top picks, arranged into a table which shows you both the purpose of the multimeter, as well as the method of power for the multimeter. As you can see, we’ve chosen our choices for best multimeter by looking at multimeters for various different uses. It’s no good buying the best automotive multimeter if you’re a budding gadget fixer. Let’s now move on over to the multimeter reviews that we have prepared for you. 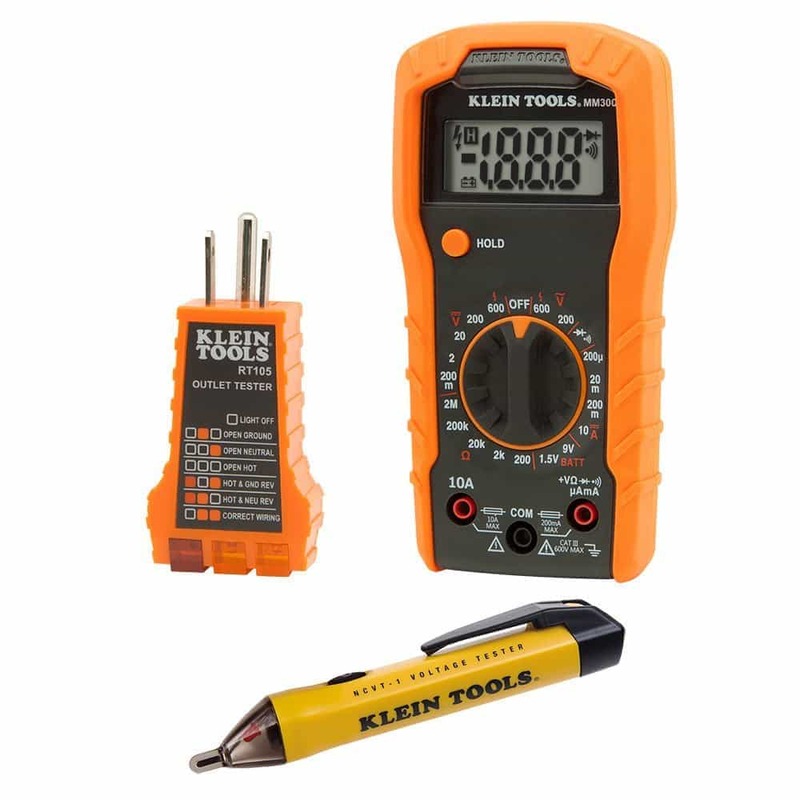 If you want or need the whole electrical testing range, then this Klein Tools kit comes with everything you need. 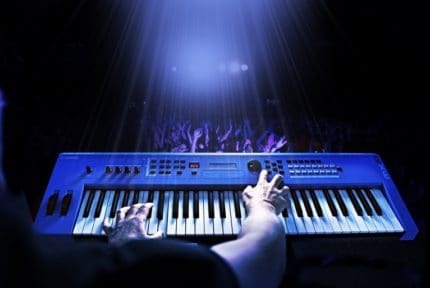 There’s nothing worse than trying to match instruments and tools so that your work is consistent. These are precision tools and each manufacturer will have their own process for designing and calibrating them. So if you want to skip all the wrong choices and pay an affordable price for a matching set, then Klein have your back with their electrical test kit. The MM300 comes ready to go with 6 AAA batteries included, along with tester leads and everything else you need. Along with a few toys, you’ll surely find a use for. If not, they’re always handy to have around. Multimeters don’t have to fill your bag. And, in some cases, they can fill an entire car trunk. 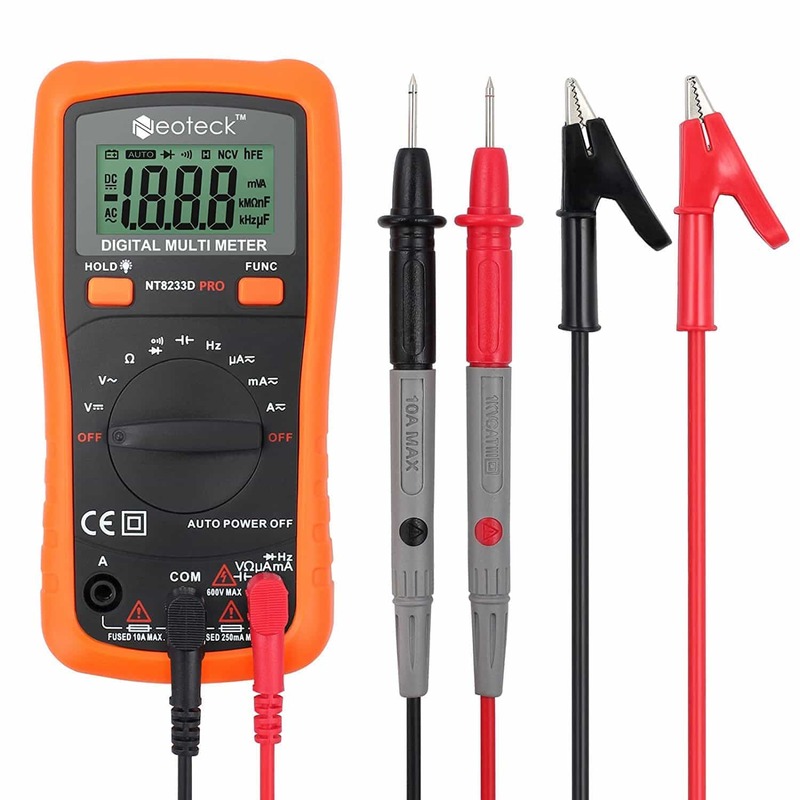 But not this Neoteck Pocket multimeter, which is the best pocket multimeter for your money. And it doesn’t cost much at all, clocking in at the bottom end of the price range. Yet it sacrifices nothing to achieve such an affordable price. It’s ideal for everything from Raspberry Pie enthusiasts to keen gadget fixers. It also makes a great spare to keep around if you want a backup available. 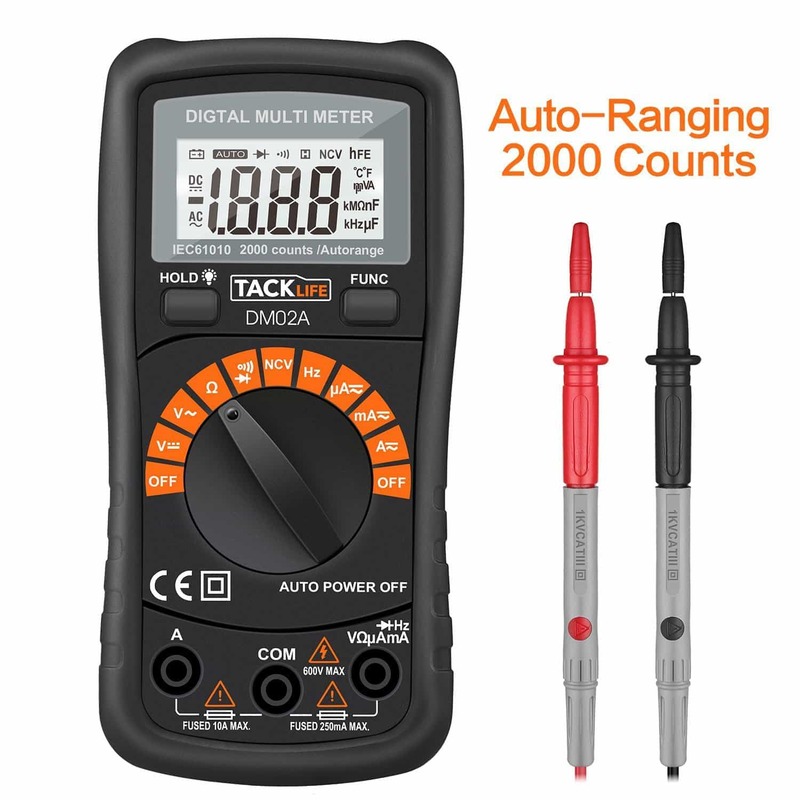 The best budget multimeter is easily Tacklife’s DM02A Classic Digital Multimeter. It has an inarguably low price that also makes it a great choice as a gift. You can make your dad happy while also getting him to fix your old broken iPod for you. Plus, the classic design is a great look and makes it easy to use. Other benefits include the flip-out-stand, easy to see the screen (with backlight) and everything feature the same sturdy construction. Which very much makes it a lasting investment. 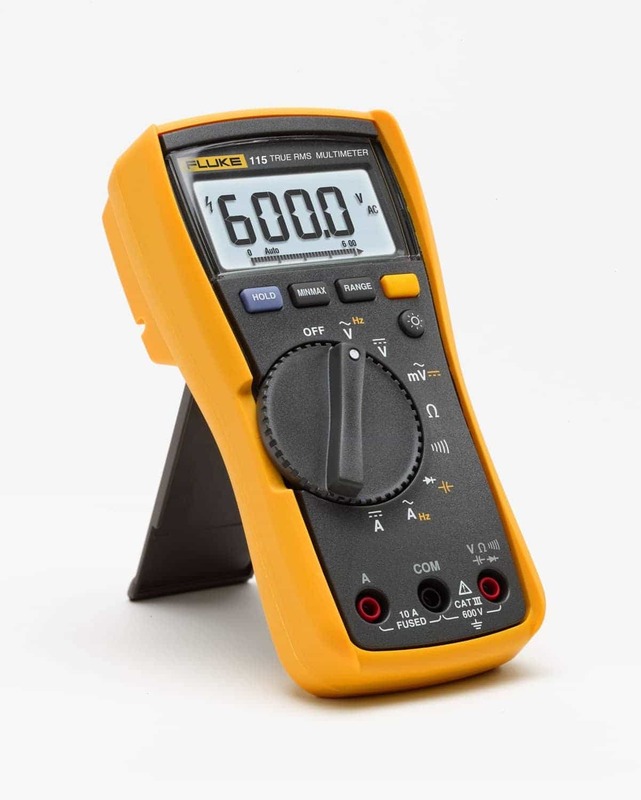 Perhaps you’re wondering if you can use a multimeter to check the voltage of your larger electronic devices such as laptop, tablet, or computer. Well, the Eversame USB multimeter doesn’t follow the usual design of a multimeter. 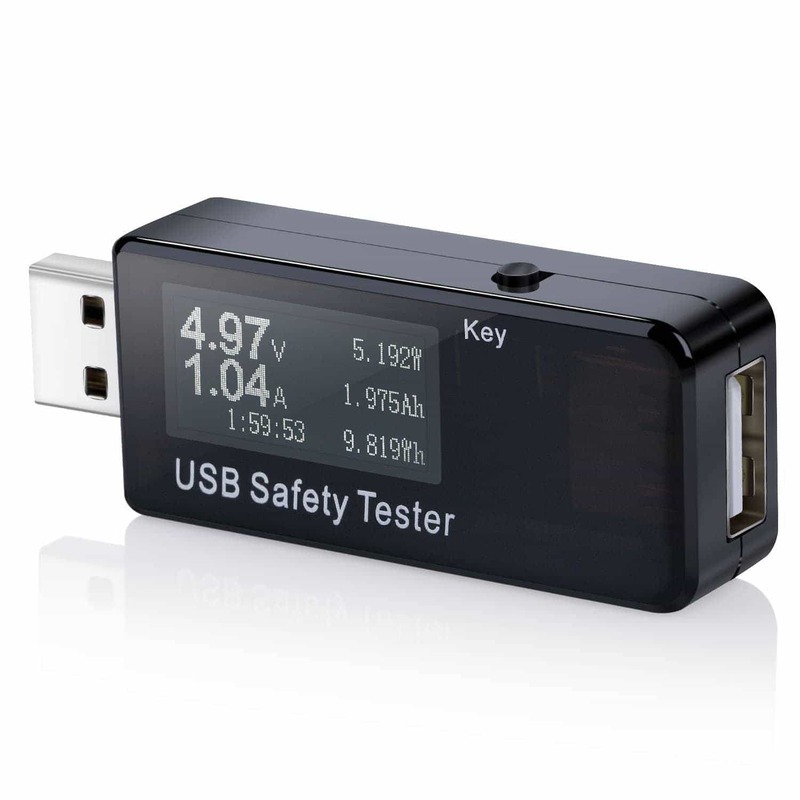 Simply plug it into your USB slot to get an accurate reading of voltage and current. It even has a working time display so you can get an incredibly accurate reading over a long period of time. If you’re a parent who has a bit of a tech-savvy child, then this makes a great gift for them. Giving them the ability to ‘see’ the invisible power that runs through their electronic toys and gadgets is an amazing experience for them. But don’t be put off by that suggestion if you’re a grown adult, the fact a child can use this multimeter is a great thing. You can get straight to testing, checking, and fixing problems with circuitry in no time without any prior electrical experience. It’s even perfect for automotive work, and it’s certainly a clever thing to keep in any car’s trunk. 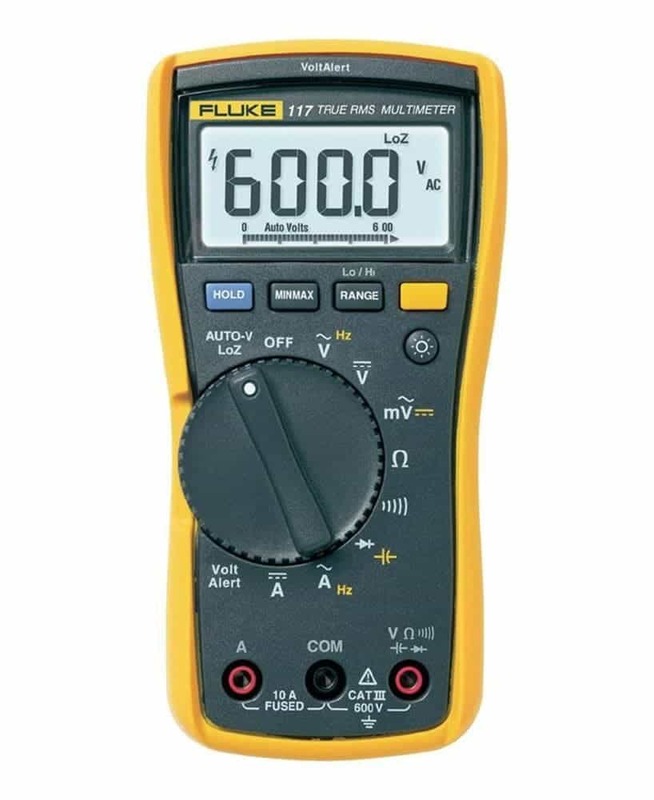 The Fluke 117 s is almost certainly the best multimeter for electronic technicians in order to aid you/them in their daily work. 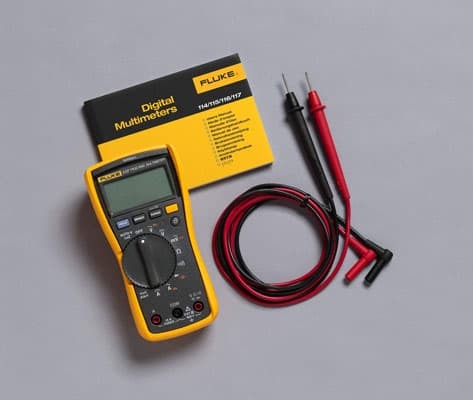 Even if you’re not a pro, this Fluke will put you on their level with regards to accurately measuring and tracking voltage, current, and true-rms for accurate measuring of non-linear loads. It has great ergonomics, too, which matters when you’re someone who needs to use it daily during jobs that require both hands. You can also buy a ton of optional extras for it such as magnets to hold it entirely hands-free against a wall. There’s even an option to buy a NIST certified version to save you the effort. If you’re a pro or an enthusiast, then you can’t do better than buying the Fluke 117. 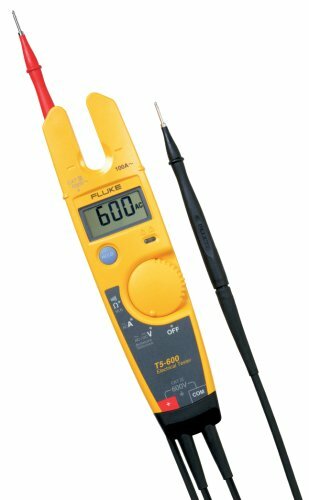 For an accurate multimeter reading, you should go straight to the Fluke T5600. It’s famed for its precision and it boasts Fluke’s patented durable construction. This particular model is slimline, slender, and perfect for reaching through gaps and giving you a bit more reach during day to day electrician work. It automatically measures volts ac and volts dc with extreme accuracy and displays resistance to 1000 ohms. Not only does the shape help you reach your target, but it also helps to save precious space in your bag or tool storage. A minor thing, but it’s always worth noting how you’ll store and transport the things you buy – especially for commercial buyers. In the world of automated production maintenance, the T5600 is a fantastic piece of kit to use. Electronics are a key component of any modern vehicle; their operation directly affects the lives of your family and yourself. An automotive digital multimeter can easily prevent needless tragedy or expensive bills from the mechanic for a problem you could have solved yourself. Well if that sounds like your idea of a great idea, then the best idea for you would be to pick up the Fluke 115. It’s a slightly less expensive version of the Fluke 117, and ideal for those who want to do some serious electrical work without paying a premium. The Fluke 115 is perfectly priced for acquiring a professional piece of kit for an enthusiast price. 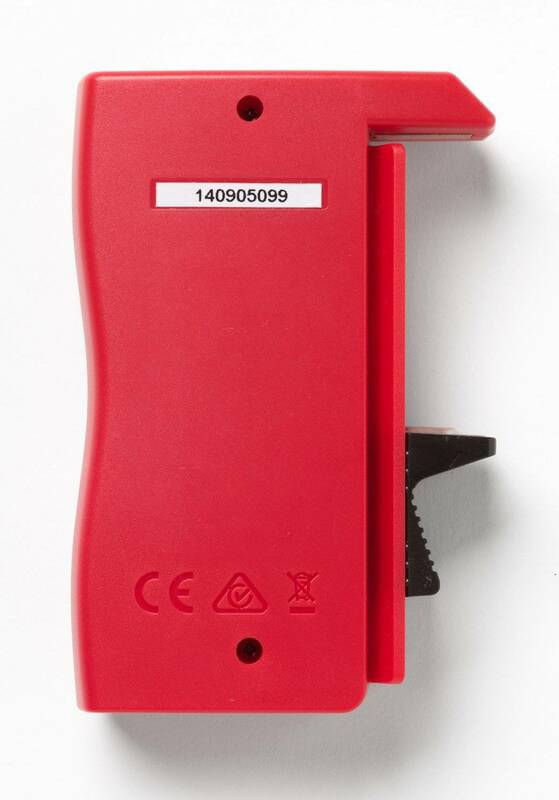 If all you need to test is batteries, then save yourelf a huge amount of money and invest, instead, in the Amprobe BAT-250. It will measure all V, AA, AAA, C, D, 1.5V batteries with a high accuracy and an easy-to-read display with color-coded indications. It will even recommend the best time to replace the battery. Best of all, a child can use it. Which means next time the kids are bored, maybe they could go through all those batteries which you can’t remember are flat or not? You’d be surprised the fun a person can have with a battery tester. Either way, the BAT-250 incredibly functional and a modern necessity. Why don’t you own one yet? Chances are that you have a smartphone. You might even have a tablet or a laptop. Did you know their batteries aren’t going to last the entire time you own them? You probably knew that. Which means you know full well that a swollen battery can damage all the circuitry around it when it goes. Because of that threat, it makes sense to buy Drok’s USB Digital Multimeters as soon as possible. Why don’t these come supplied with smartphones? We have no idea. But if you care about your phones and your batteries, then this is the best multimeter for you. When choosing multimeters, it’s important to consider what you need from it. A really good multimeter is going to do just about everything, but that comes with a high price. If you’re simply looking to keep an eye on your batteries or just need one for small projects, then the best multimeter for your needs may just be a simple little USB battery tester. 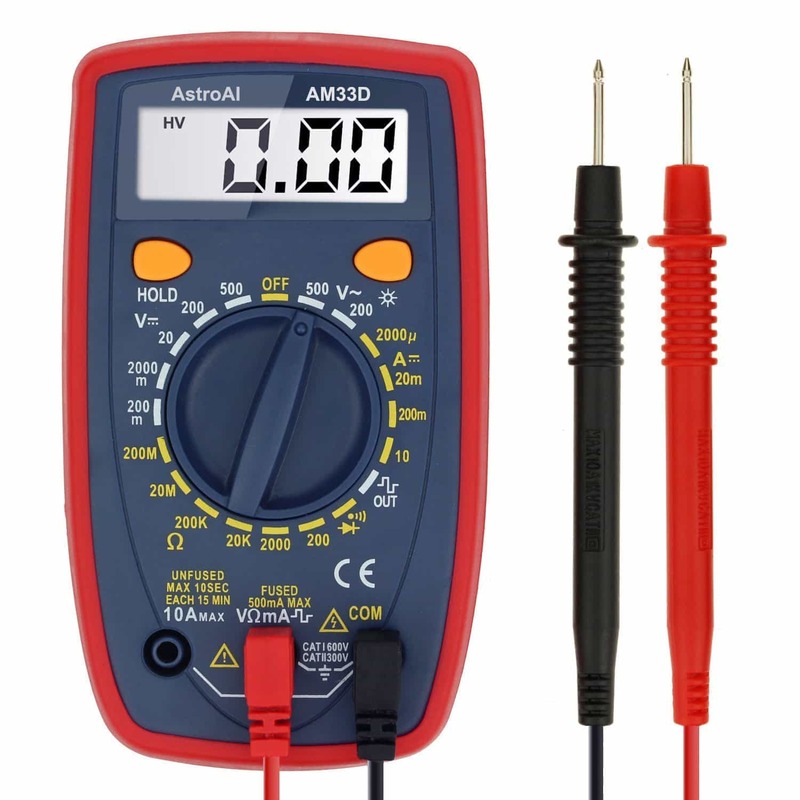 As you can see in our above comparison table and separate reviews, there is the standard multimeter as you know it and a whole bunch of other options for different purposes. You have the USB-type which also come in USB 1, 2 and 3 varieties to keep up with evolving tech trends. 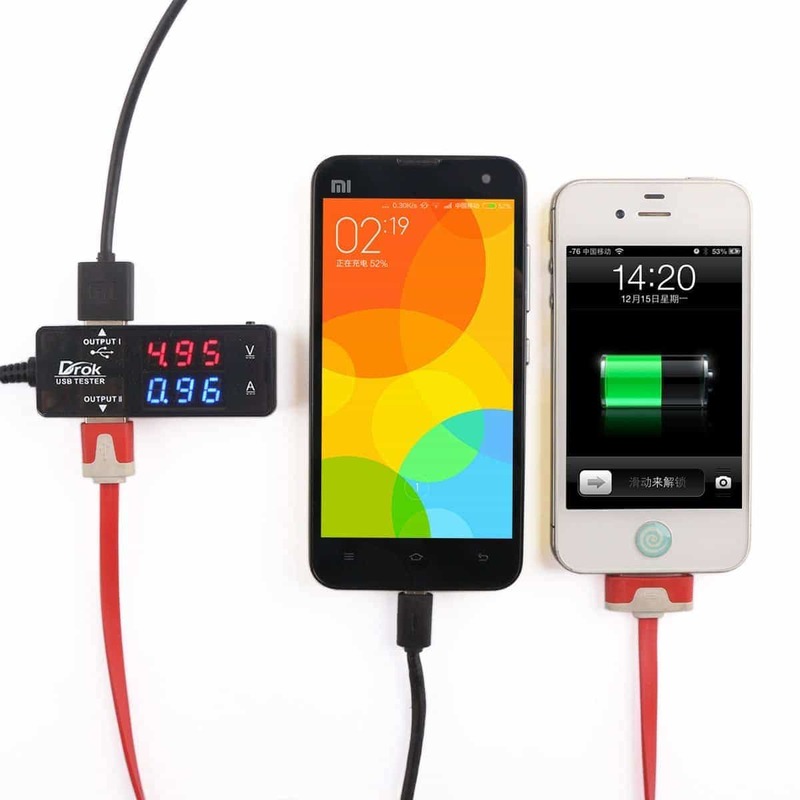 These USB multimeters are fantastic for checking the battery life of your larger gadgets, and also for tracking solar power panel outputs for positioning them. When you buy the best multimeter, where is your money going? Well, it’s going to improved accuracy, a durable build, and additional tools for all sorts of intricate testing uses. If you don’t know what the particular feature on a multimeter does, you can sure as hell bet that it’s important. But if you know you’ll never need it, then consider a type of tester that is made specifically for what you need to do. Just because something can be used by a child doesn’t mean that it’s not for adults, it just means that it’s designed with simple use in mind. So, if you’re a user that wants that level of simplicity – just a “turn on and go” type of gadget – then look at the simpler products that we’ve shown you. There’s no need to spend hundreds of dollars because you feel like you need to buy a full kit. And, to reverse that thought, if you’re wishing to get a child interested in electricity, then don’t stop at the small and simple devices. Spending a little extra could give your child whole new options when it comes to exploring their curiosity. It’s hard to glance at the list of products we’re provided and pick one out that is perfect for everyone’s needs. Because there’s quite a large gap between what a pro needs and what an enthusiast needs. Still, we’ve broken down the thousands of options to the very best of the best multimeters worth looking at so it’s not like you can make a bad choice if you stick to our comparison table and guide. And, if you use our links, you’ll always find yourself looking at the best price possible for every product. Anyway, for our top product choice, we’ve chosen the Fluke 117 Electricians True RMS Multimeter. It’s just inarguable that this multimeter is clearly the best option for both the budding electrician as well as the already professional electronic technicians out there.